Azzip Pizza’s 7th location will be opening in Lafayette on the corner of Farabee and South St. (26) on April 8th. Brad Niemeier, founder, is a 2012 graduate of Purdue University’s Hospitality and Tourism Management program and a former walk-on on the Purdue football team. Azzip Pizza is a multiple-year Gold winner of Best Place for Pizza as voted by the community in the Evansville Courier and Press and in 2015 Brad won Entrepreneur of the Year as named by the Southwest Indiana Chamber of Commerce. 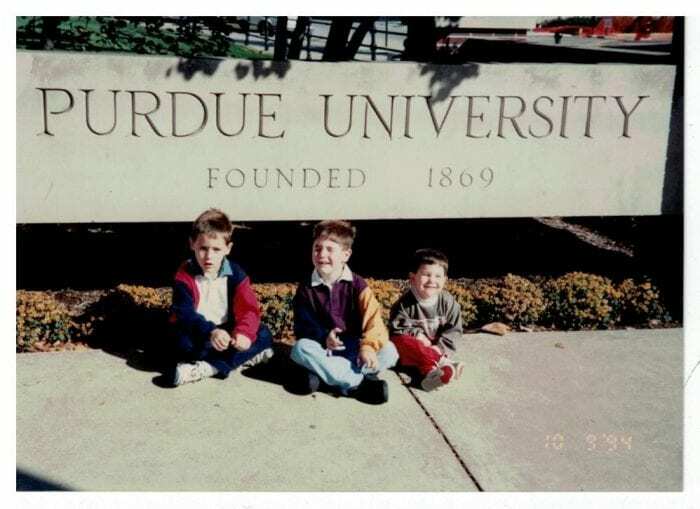 Purdue University and the Lafayette community hold a special place in my life. I spent 4 years on campus at Purdue and have made many, many other trips up 41 from Evansville to Purdue. Both my Mom, Laura (CS ’84), and Dad, Dan (ChE ’85), are Purdue graduates. 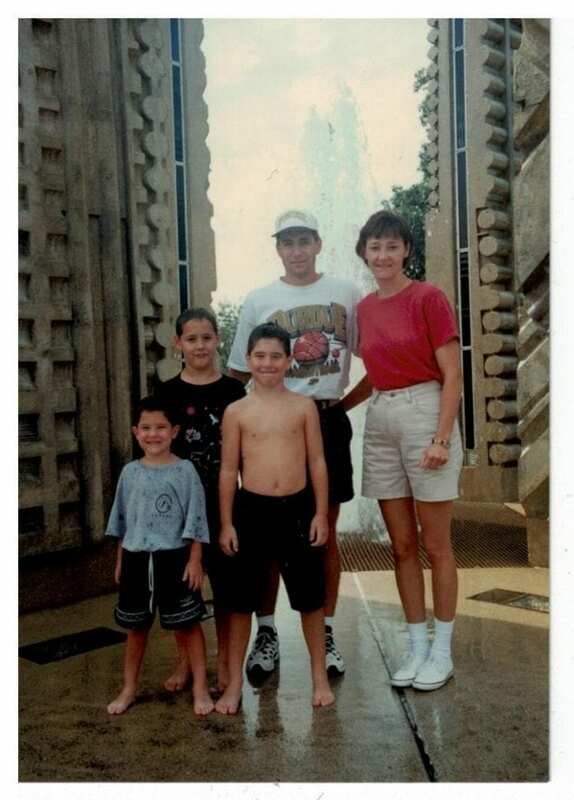 My older brother, Andy (ME ’11), is also a Purdue grad. It’s in my blood. I was brainwashed from an early age to love the Boilers. 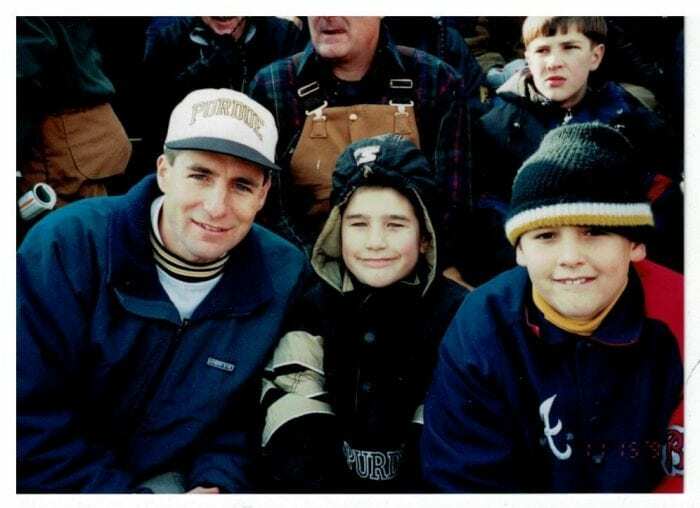 I have countless pictures and memories from Purdue games in the late 90s and early 2000s. I was there in 2004 for the Orton Fumble. I submitted a single college application. One. I knew where I was going to school. As a freshman in 2008, I attended the walk on tryouts for the Purdue Football Team. I was an All-State offensive lineman, but had nowhere near the size or skill to earn a scholarship offer from a Big Ten university such as Purdue. However, as luck would have it, the team needed some bodies for the scout team on the defensive line and I was the biggest and most coordinated of the tryout walk-ons that year, so I got my shot! I vividly remember the phone call to my parents telling them I had made the team. It was weird. And exciting. And a little scary. 4 years of hard work, a ton of awesome opportunities and lifelong friendships formed were a result of that opportunity. I played for two plays at the end of a blowout game against Minnesota my senior year, received a scholarship for my senior year, and was fortunate enough to meet Bob Griese and Drew Brees. It was an amazing experience. However, the most life changing experiences happened in the classroom. That may not have been an exact quote, and we ended up needing more than just a pizza oven, but it was the push. He coined the terms Big Zip and Little Zip for our two personal sizes. He pushed me to enter my idea for a fast casual, build your own, personal pizza experience into the Burton D. Morgan Business Plan Competition at Purdue. I ended up winning and taking home “one of those big checks” for $20,000. And now, just over 4 years after opening our first location in Evansville, it’s all coming full circle. Well, almost full circle. Not back on campus, but back in Lafayette. Purdue University is making me proud to be an Alumni. Mitch Daniels is making me proud by being innovative in higher education and always striving to be the best. Purdue Athletics is hitting on all cylinders and is on an upswing that has fired up the Purdue fan base. The Lafayette community is thriving and inviting from a business perspective and we can’t wait to come back and be a part of it. It feels like a defining moment in my young career to be able to open our 7th Azzip pizza location in a community that means so much to me. My visits to our store may just have to coincide with the Purdue Football and Basketball home games. I cannot wait to be able to bring my young son back to as many Purdue games as possible to truly start the brainwashing at an early age. So thank you in advance for all the support Lafayette. I promise that we make a delicious and unique pizza, and that once we have the opportunity to serve you, you will want to visit with us again and again.